PSF Spain went to Iraq and performed to support Internally Displaced Persons (IDPs) from Iraq and refugees from Syria. In September 2016, Clowns Without Borders Spain went to Iraqi Kurdistan to perform for Kurd, Yazidi and Iraqi refugees and internally displaced. In May 2016, Clowns Without Borders Spain went to the Iraqi Kurdistan to perform for Kurd, Yazidi and Iraqi refugees and internally displaced. In May 2015, Clowns Without Borders Sweden was invited by KRG (Kurdistan Regional Government in Sweden) to perform in the camps in Sulimaniya, Erbil and Dohuk. In November 2015, Clowns Without Borders Spain went to Iraq and performed 15 shows for 3300 people. 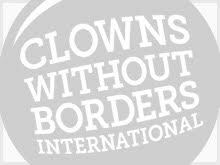 In April 2014, Clowns Without Borders Belgium wen to Iraq to improve psychosocial support for Syrian children refugees. 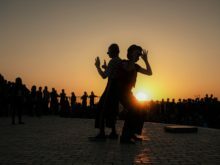 They performed 28 shows for 11 250 children and gave 10 workshops to 200 children. 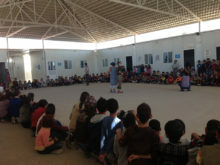 In October 2014, Clowns Without Borders Spain went to Iraq to perform for children and young people with development issues, and to help out social workers. They performed 18 shwos for 7700 people. In 2013, Clowns Without Borders Sweden went to Iraq and performed 11 shows for 3500 people.